During the 1950s, 60s and 70s Decca recorded several LPs of recitals by both well and lesser-known opera singers of its day. This collection of famous opera arias, issued across two volumes, includes several of the singers known, in the main, to connoisseurs. 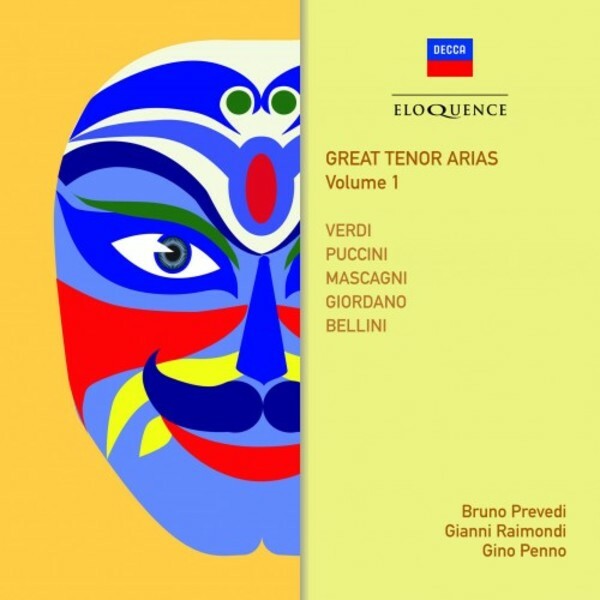 The present volume features Bruno Prevedi, with his baritonal timbre; Gianni Raimondi, of whose voice Luciano Pavarotti once said that he had spent hours studying Raimondi's technique in the hope of emulating it; and Gino Penno, who, with a splendid voice of considerable power and expressiveness enjoyed only a short but memorable operatic career in the 1950s. Although previously issued on CD all the recordings have been carefully remastered for this release. 16. Norma: Svanir le voci!